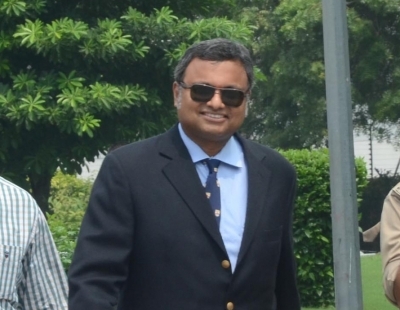 New Delhi, April 16 (IANS) The Supreme Court on Tuesday sought responses from Congress leader and former Union Minister P. Chidambarams wife Nalini and son Karti regarding an appeal of the Income Tax Department against a Madras High Court order. The High Court had dismissed orders issued by the I-T Department to prosecute the former Finance Minister's wife, son and daughter-in-law under the Black Money Act in May 2018. A bench headed by Chief Justice Ranjan Gogoi said that the impugned judgement shall not be taken as a precedent till the matter was heard. However, the court refused to stay the high court's order. The Income Tax department filed four charge sheets against Nalini Chidambaram, son Karti Chidambaram and daughter-in-law Srinidhi Chidambaram under the Black Money Act for allegedly not disclosing their foreign assets. The chargesheets have been filed before a special court in Chennai under Section 50 of the Black Money (Undisclosed Foreign Income and Assets) and Imposition of Tax Act, 2015, officials said. The chargesheets claimed that the family did not divulge details on these investments along with the firm co-owned by Karti Chidambaram -- Chess Golbal Advisory -- to the tax authority, violating the Black Money Act.